[eMo]Web Browser Optimizer is a free software that provide means for memory optimization of dozens of browsers. Check it out here and give it a try! iobit Toolbox is a free suite of system optimization utilities to clean up system and improve system performance. Download iobit Toolbox free. 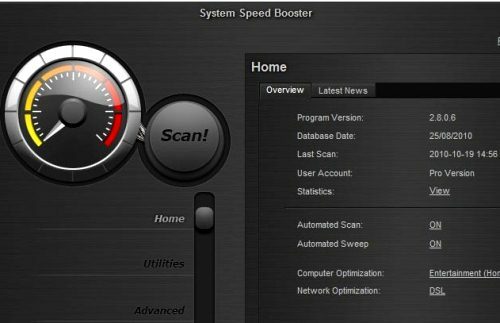 System Speed Booster is a free software to improve system performance by cleaning registry, removing registry errors, removing temporary files, removing junk files. Download System Speed Booster Free. 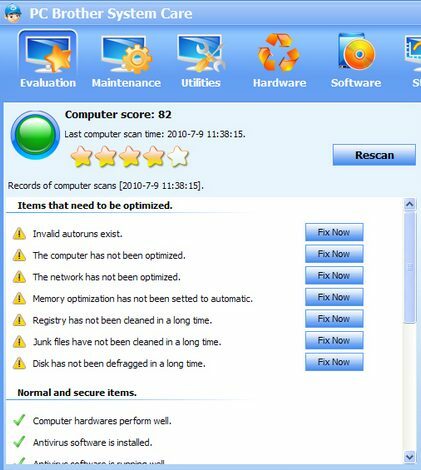 System Boost Elite is a free registry optimization software that cleans registry of unwanted files such as invalid registry entries, registry errors, and clean IE history. Here are 6 free system cleaners to remove temporary internet files, remove temporary application files, and remove junk files from computer. 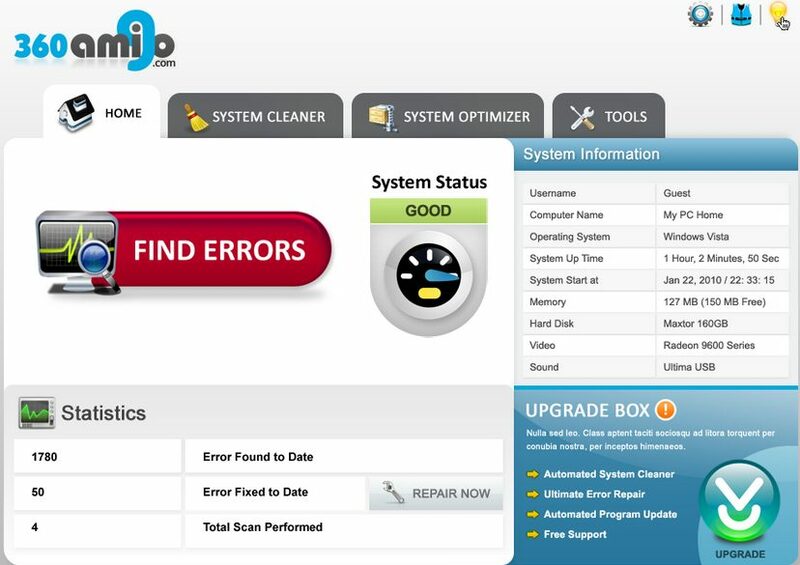 360Amigo System Speedup is a free system cleaner and free error repair utility to optimize your system and improve system performance. Here are 5 Free Image Optimization Software to Optimize your images that will reduce the size of your images. 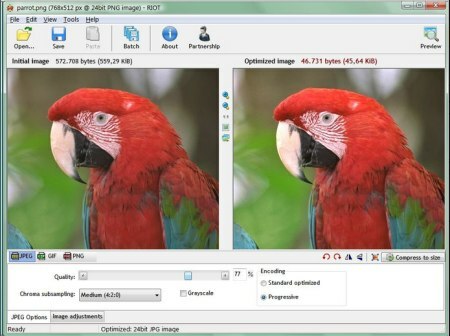 These free image optimization software can work on variety of image types. 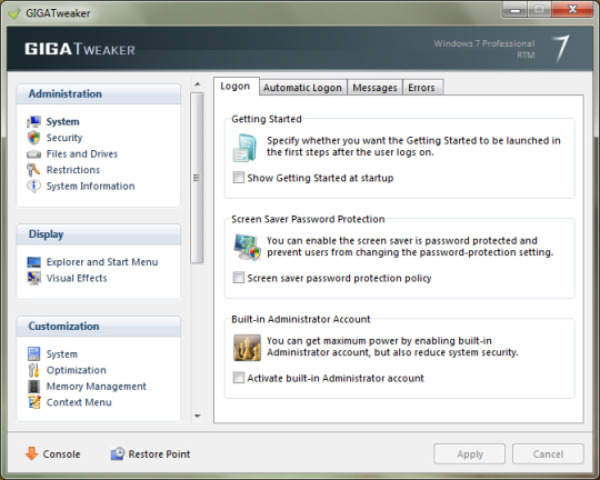 GIGATweaker is a free software to optimize and tweak Windows 7 settings. GIGATweaker lets you manage startup, registry, and lot more. Download GIGATweaker Free. CCleaner is one of the most popular PC optimization tool. It removes unwanted file, tweaks registry, and manages Windows startup.